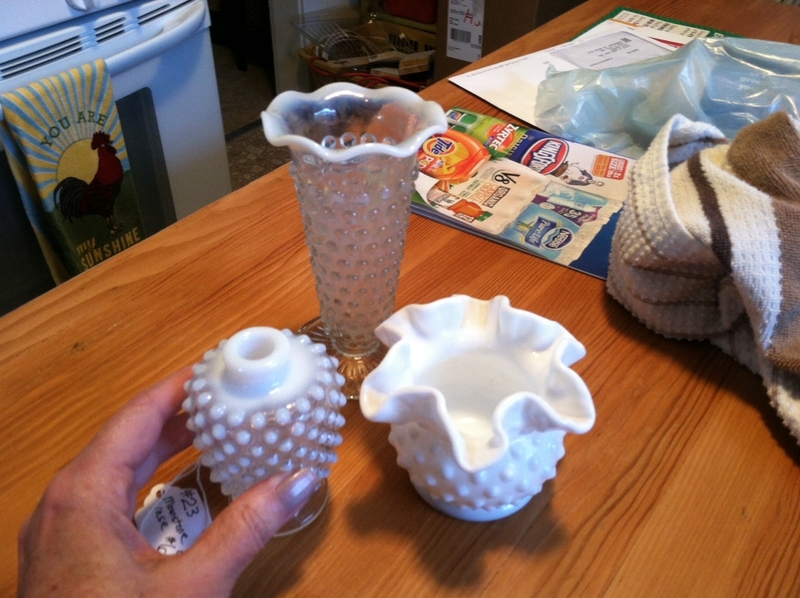 Cute little vintage “Moonstone Hobnail” vases. I picked up these little vases at an antique store around the corner at work. Amie’s bridal shower theme is “Mad Hatter Tea Party”. I love hobnail anyway but I’ve never seen “Moonstone” hobnail, they’re basically clear with traces of white and blue. Super cute with some flowers for the tea party table. So cute! When is her shower?